Die Castings China’s quality control capabilities feature state-of-the-art inspection systems. This allows our die cast technicians the ability to look deep into die castings and analyze the depth of metal flow through the die and other critical test parameters in the production of high quality zinc and aluminum die castings. The TS 16949, ISO 14001 and ISO 9001 quality management systems are strictly enforced. Our complete die casting, machining, engineering and executive staff is committed to producing the highest quality aluminum and zinc die cast parts available today. High volume production requires the complete quality control focus throughout all phases of a project. 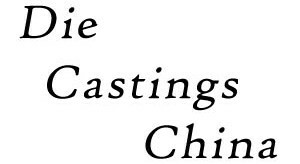 To maintain this project philosophy, Die Castings China regularly maintains and invests in the latest evaluation resources. By putting this equipment into the hands of our quality assurance professionals, we have been able to receive the highest level approval certifications and memberships.